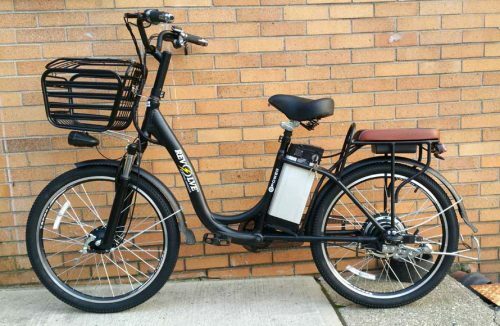 The Revolve Electric warranty only covers electric bikes and frames that are purchased from and assembled by distributors or retailers licensed by Revolve. For your safety, it is not recommended that you buy a boxed bike (i.e. 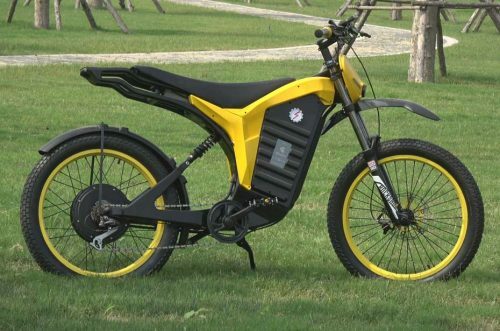 one that is not yet assembled) and assemble it yourself, or have the bike assembled by a distributor or retailer that is not licensed by Revolve. Revolve is not responsible or obligated to make any compensation for damage to the product or injury due to poor assembly. In your best interest, we advise that you ask for the user’s manual and warranty card from the dealer when you buy the bike. Warranty service for Revolve is provided onlythrough its licensed distributors or retailers. The warranty is currently only valid for first-hand owners at a licensed distributor or retailer. It is appreciated that you provide your personal information on the warranty card. Frame: 6 months from the day of purchase. Rule of replacement: the frame is replaced with one of the same model. In the case that the model is no longer in production, a replacement will be made with an equivalent model. 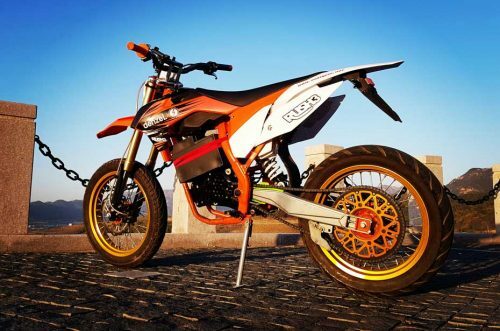 Front fork without shock absorber: 1 year from the day of purchase. 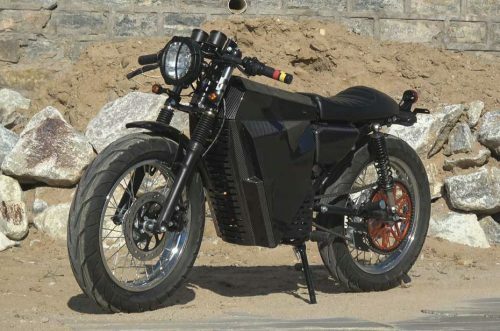 Electric components: 6 months from the day of purchase, including instruments, controllers, motors and battery. Non-consumables: 6 months from the day of purchase. Including front fork with shock absorber, saddle, seat post, shift lever, front derailleur, rear derailleur, main shaft, front hub, rear hub, handle, handle bar, front fixture, rear fixture, brake lever, front fender, rear fender, luggage carrier, pedal, bearing, linkage and linkage screws (depending on the warranty provided by the parts manufacturers). In case of damage under normal use, in accordance with the user’s manual and that is identified as a defect of quality while the warranty is still valid, Revolve is committed to provide complete warranty service through any of its licensed retailers. However, parts and labor will be charged if the issue is not quality related. Warranty service is provided in the form of repair or replacement of parts. Modification requires professional knowledge and expertise, and therefore, is recommended that modifications take place only at a licensed retailer. 1. Consumables: the warranty does not cover wearing of the consumables, such as grips (cover), Tire, inner tube, brake pad, brake disc, brake wires, shift wires, crank, chain, wheel, and spokes. 2. The warranty does not cover finishing (of frame and parts). The baked paint finishing on frame and other parts may become corroded and flake off due to external causes such as sweat, collision or abrasion. 3. Noises or vibrations generated by rotating parts, such as pedals, front and rear hubs, steering system, shock absorbers and cassette or free wheel, that do not affect general functions. 4. Unauthorized modifications. Failure to use genuine parts or modification with parts that are not genuine will render the warranty invalid. 5. Deformation or cracks due to the wearing or material fatigue of parts under normal Use. 6. Loss of screws and other small objects. 7. Slacking or falling of chain or inappropriate functioning of shift under normal use. 8. Cuts or dents caused by reversing the saddle or other human factors. 9. Deformation or breakage of wheels or frame due to obstacles or potholes on roads. 10. Flat tires or leaks caused by sharp objects such as nails, glass shards and pointing pebbles. 11. Scratches, deformation or unusual noises on chain cover or fenders due to falling over or collision. 12. Additional charges that come with product failure. 13. Deformation or damage of frame due to failure to follow the safety instructions for stem and seat post. 14. Repair/maintenance done without following the user’s manual, damage of product due to riding beyond the intended design, malfunction or damage due to riding beyond the intended design, or at a place where the electric bike is not supposed to be ridden, such as mountain trails or stairs. 15. Damage of paint or finish due to poor storage or extended period of use, or natural discoloring on metallic surface or plastic parts. 16. Damage to parts or malfunctions caused by performing bike stunts or jumps. 17. Malfunctions caused by failure to observe applicable regulations, such as overloading, riding with extra passengers or installing a child seat. 18. Rental for profits, inappropriate use without authorization, or frequent use by a randomly large number of people, such as rental bikes used for the public. 19. Damage due to external forces, such as traffic accidents, collisions, impacts, being caught between large objects, transportation damage, misuse, falling over, falling into roadside ditches, other accidental collisions, or any other unavoidable factor. • New bike serial number is located on the motor hub. Please keep your user manual safe and handy.